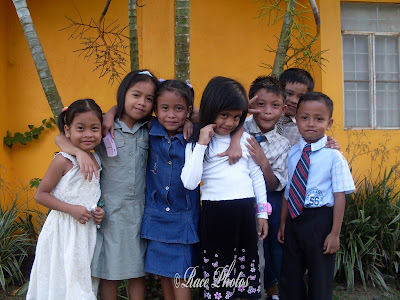 I'm sharing some of our pics in our camp meeting fellowship because I just find them cute. The little girls' poses are something that we are talking about because they really are fond of picture taking. The boys are so cute here with their neckties made from big neckties but done carefully to look like their own. We forgot to bring their own so we made some out of the ministers' neckties. I have other entry of our family pic at the camp here! What a bunch of hams! Cute ones, though. Happy WW! Those smiles are just so contagious! They are so adorable. 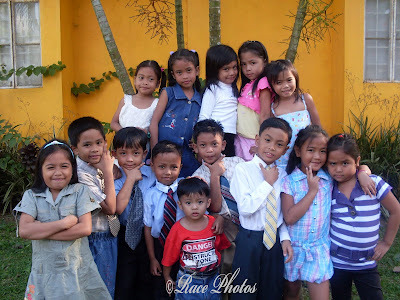 Ang cu-cute naman ng mga batang yan!I really like your postings..keep it up! DingM from Palawan, Philippines.